View More In Wind & Woodwind Instruments. Ravel's Eclipse student flute offers the young band student or older beginner a reliable, quality instrument featuring a warm sound with good projection, suitable for both the concert stage and the marching field. It's an affordable yet durably constructed instrument, making it a popular choice for many directors and individuals. 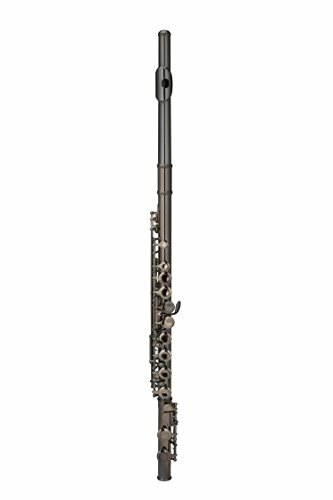 The Eclipse flute is striking in appearance due to its black nickel-plated finish throughout! The entire instrument is black nickel-plated; head, body, foot and keys. The Offset G Key allows a more comfortable, natural hand position for the G keys, plus stability and protection to the left-hand keys, due to these keys configured on a separate rod. The Split E Mechanism helps to improve the production of the high E in the third octave. If you have any questions about this product by Ravel, contact us by completing and submitting the form below. If you are looking for a specif part number, please include it with your message.